HI Friends Here is 2010 JANUARY AND FEBRUARY CURRENT AFFAIRS QUIZ READY FOR YOU. So take enjoy of these LATEST CURRENT AFFAIRS QUIZ 2010 questions.It is very Important for bank PO exams preparation 2010 These Current Affairs questions will help you in Many Competition Exams and School and college Students can also take Benifit of this August - September Current Affairs Quiz. Now which is the tallest Building in the world? Burj Khalifa formerly known as Burj Dubai is a skyscraper in Dubai, United Arab Emirates. Construction began on 21 September 2004, with the exterior of the structure completed on 1 October 2009. Total cost for the Burj Khalifa project was about US$1.5 billion. Antenna or spire: 828m (2,717 ft). Floor Count: 160 habitable floors plus 46 maintenance levels in the spire and 2 parking levels in the basement. 10. Who was named as the Player of the Decade by Goal.com? 11. Which country won the seventh World Team Chess Championship held at the Merinos Congress Centre in Bursa, Turkey from January 3rd till 14th, 2010? Russia won gold, USA won Silver and India got the Bronze medal. 12. One of the most successful R&B(Rhythm and Blue) singers of the 1970s and ’80s, passed away recently at the age of 59 after a battle with colon cancer? The five-time Grammy-nominated singer had chart-topping hits in three different decades with 1978’s “Close the Door,” 1988’s “Joy” and 1991’s “It Should’ve Been You,” plus well-known songs like “Love TKO,” “Two Hearts” with Stephanie Mills and “Hold Me,” a duet with Whitney Houston that featured on Houston’s 1985 debut album. 13. 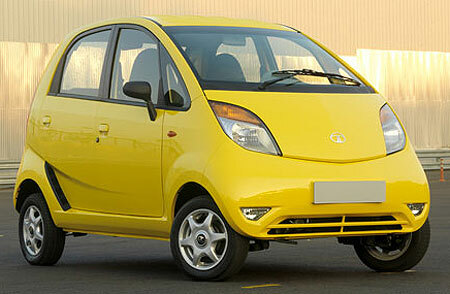 Which car has selected as the Car of the Year at ICICI Bank-CNBC-TV18 Overdrive Awards 2010? 14. Who has been appointed as one of 13 faith advisers by U.K. Communities Secretary John Denham? Arjan Vekaria, president of the Hindu Forum of Britain. He has been involved in voluntary work with the Hindu Community in the UK for over 35 years. Born in Uganda, Arjan spent part of his childhood in India before migrating to the UK in the 1970s. 15. British hostage who has been released alive after more than two-and-a-half years in captivity in Iraq by Islamic Shia Resistance, a terrorist organization? He was an IT consultant from Lincoln, who was captured in Baghdad in May 2007. Four bodyguards were seized with Mr. Moore. Three were shot dead; the fourth is also thought to have been killed. 16. South Korean steel major which has got final clearance from the Ministry of Environment and Forests recently for acquiring forest land in Orissa for its $12 billion steel plant project? POSCO signed a memorandum of understanding (MoU) with Orissa in June 2005 for the 12 million-tone-capacity steel plant to be built in three phases by 2016, with production scheduled to begin by the end of 2011 at the completion of the first phase. 17. The well known Indian expatriate businessman from Abu Dhabi who has purchased the entire 100th floor of Burj Dubai, the world's tallest tower? B R Shetty. He is the founder and managing director of the New Medical Centre (NMC) group of hospitals. 18. The country which officially removed a 22 year old entry ban on foreigners living with HIV/Aids recently? The change came following a US decision in November, removing HIV infection from the definition of communicable disease of public health significance. 19. Which country recently issued an orange alert for heavy fog and snowstorm? 20. The 97th Indian Science Congress is held at? University of Kerala, Thiruvananthapuram, from January 3 to 7, 2010. This is the first time that the Indian Science Congress is being held at Thiruvananthapuram. 21. Legendary Wildlife conservationist and author who passed away on 1 January 2010, at his home 'Tiger Haven' in the vicinity of the famous Dudhwa National Park in Uttar Pradesh at the age of 92.? Singh, regarded as the godfather of the "Save the Tiger" campaign in India was instrumental in establishing the Dudhwa Tiger Reserve in 1988.He was decorated with several national and international awards including Padma Shri in 1995 and Padma Bhusan in 2006 and J Paul Getty Wildlife Conservation Award. The Uttar Pradesh government had also conferred the Yash Bharti award on him. 22. Who has been named as chairman of International Pepper Community (IPC) for 2009 – 2010? V.J. Kurian, Chairman of Spices Board, Ministry of Commerce of the Government of India took over from Mr. Odilson Luiz Ribeiro e Silva as Chairman of IPC at the 37th Session of IPC on 3rd December 2009. 23. The alleged drug lord who was arrested by Mexican police, two weeks after his even more powerful brother was killed in a shootout with troops? Two weeks ago, his brother Arturo, reputed chief of the Beltran Leyva cartel, was killed in a shootout with Mexican marines in the central city of Cuernavaca. 24. Who has won Sri Lanka's first post-war national presidential election defeating former army chief Sarath Fonseka with 57.9% of the popular vote, according to the country's elections commissioner? He has won Sri Lanka's first election since Tamil Tiger rebels were defeated after 25 years of civil war and this is his second term in office. 25. On January 28 2010, an International Conference on Afghanistan was held where members of the international community discussed the further progress on the Petersburg agreement from 2001 on the democratization of Afghanistan after the ousting of the Taliban regime. Where was that conference held? The one-day conference, hosted by the United Kingdom, the United Nations, and the Afghan government, meant to chart a new course for the future of Afghanistan and brought together foreign ministers and senior representatives from more than 70 countries and international organizations. 26. Which company has been named the 'Technology Pioneer-2010' by the World Economic Forum for developing solar-powered mobile phone base stations, becoming the first Indian telecom infrastructure firm to win the laurel? Vihaan Networks Ltd (VNL), a Shyam Group company. 27. Which team won their sixth Federation Cup title with a 3-0 triumph over Lajong via penalties in an evenly contested final? 28. Who is appointed as the Vice-Chancellor of the Cochin University of Science and Technology (CUSAT), Kerala? He is presently working in the Technology Commercialisation office of the University of Utah at Salt Lake city in the US. 29. Winners of “Man of the match award” in the Tri nation ODI series (India, Sri Lanka, Bangladesh). Ist ODI held at Dhaka between Bangladesh and Sri Lanka on Jan 4, 2010: Tilakaratne Dilshan (104 runs). Lanka beat Bangladesh by 7 wickets. 2nd ODI held at Dhaka between India and Sri Lanka on Jan 5, 2010: Thilan Samaraweera, (105 not out off 106 balls). Lanka won the match by 5 wickets. 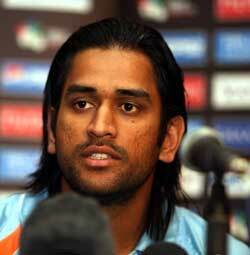 3rd ODI held at Dhaka between India and Bangladesh on Jan 7, 2010: M.S.Dhoni, (101 not out off 107 balls). India won the match by 6 wickets. 4th ODI held at Dhaka between Bangladesh and Sri Lanka on Jan 8, 2010: Upul Tharanga, ((118 not out)). Lanka won the match by 9 wickets. 5th ODI held at Dhaka between India and Sri Lanka on Jan 10, 2010: Zaheer Khan, (3wickets for 38 runs). India won the match by 8 wickets. 6th ODI held at Dhaka between India and Bangladesh on Jan 11, 2010: Virat Kohli, (102 not out off 95 balls). India won the match by 6 wickets. 7th ODI(Final of the Tri Nation series) held at Dhaka between India and Sri Lanka on Jan 13, 2010: Nuvan Kulasekhara, (4 wickets for 48 runs). Sri Lanka won the match by 4 wickets. 30. Who won the man of the series award in the Tri nation Tournament (India, Sri Lanka, Bangladesh) held in Dhaka, Bangladesh? Chandigarh: The per capita annual income of people in this city is about Rs 26710. Chandigarh, a Union Territory, is known as â€œCity Beautifulâ€ and is acquired international fame for being the best urban planned city with architectural dominance that has seen projects like Le Corbusier, Pierre Jeanneret, Mathew Nowicki and Albert Mayer come and go. Panaji: Panaji, the capital city of Goa has a per capita annual income of Rs 26075 and is the third largest city in Goa after Margao and Vasco. Located on the banks of the Mandovi estuary, Panaji is home to about 65000 people. The city incorporates educational institutions, government offices and major research centers like the National Institute of Oceanography in Dona Paula. Delhi: Delhi, the capital city of India is a hub of cultures, faith and tradition. Thriving on the philosophy of â€œlive and let liveâ€, the cityâ€™s malls, markets, offices, international set ups and educational institutes are all as renowned as none other. Delhi has a per capitaannual income of Rs 24141. Valparai: This evergreen town lies in the Coimbatore district of Tamil Nadu. Having a per capita annual income of Rs 23772, Valparai is growing to be an ultimate touristâ€™s destination. With its ever fresh green lush meadows that spread across the hills and valleys, Valparai is a peaceful retreat from the busy world of cars, noise and pollution. Greater Mumbai: Greater Mumbai has a per capita annual income of Rs 23109 and is located in Maharashtra. Needless to say Mumbai or Greater Mumbai is home to budding film stars and industries because of which Greater Mumbai is considered to be one of the richest cities. Pune: Pune has a per capita annual income of Rs 22817. Being the second largest city in Maharashtra and one of the 8 megacities in India, Pune is considered to be a major financial hub. A grooming ground for the manufacturing industry which excels in the automotive sector while information technology following close behind, Pune is a major investment destination. Ludhiana: Ludhiana has an annual per capita income of Rs 22178. Located in Punjab, this city is a major educational and industrial hub in Northern India. Ludhiana is popular for politics and real estate and has been termed as the â€œManchester of Punjabâ€. Chennai: Chennai has an annual per capita income of Rs 21885. The capital city of Tamil Nadu, Chennai has a population of about 7.5 million and is the 4th largest metropolitan cityin India. Chennai is a major industrial hub and has an influential base for the automobile, hardware manufacturing, technology and health care industries. Shimla: Shimla has annual per capita income of Rs 21348. Shimla, is also known as the â€œQueen of Hillsâ€. Draped with abundant greens and lush green forests, the city is popular for its cool summers and snowy winters. Shimla thrives on the tourism industry and it is the administrative capital of Himachal Pradesh. Shimla has grown to be a pompous city with million of tourists flocking the region at peak times and with its exquisite display of malls, colleges, health care centers and the St Michaelâ€™s Catholic Church. Jalandhar: Jalandhar in Punjab has an annual per capita income of Rs 21254. Jalandhar has a total population of about 2 million, both rural and urban. Jalandhar is also known as the â€œland between the three riversâ€ â€“ Ravi, Sutlej and Beas. Jalandhar city is famous for its sports equipment, automobile parts, leather and rubber goods. Amongst the prestigious sports awards of India, the "Rajiv Gandhi Khel Ratna Award" is considered to be a very honourable one. There are a very few number of sportspersons from various types of sports have been succeeded to win this award so far. All of these extraordinary sportspersons are amongst the best produced by India. After its inception in the year of 1991-92, the very first recipient of the award is the world famous Chess player from India Vishwanathan Anand. He won the award in the year of 1991. 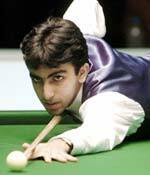 After that in the year of 1992, the very talented Billiards player Geet Sethi won the award. The award went to the sporting field of Yachting in the year of 1993 when Cdr. 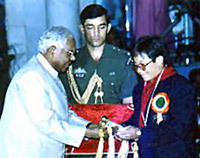 Homi d. Motivala and Lt. Cdr. P.K. Garg won it jointly. 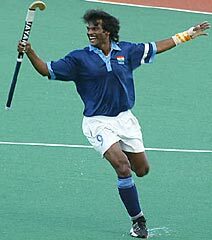 18. Who won Rajiv Gandhi Khel Ratna Award in 2010? Who is Youngest khel ratna awardees? Saina Nehwal receives Rajiv Gandhi Khel Ratna on November 08, 2010 from Gill. Dr M.S. Gill, Union Minister for Youth Affairs & Sports gave away Rajiv Gandhi Khel Ratna Award for the year 2010 to Ms. Saina Nehwal at a simple ceremony here today. 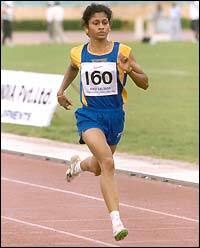 19. Who won Rajiv Gandhi Khel Ratna Award in 2011? 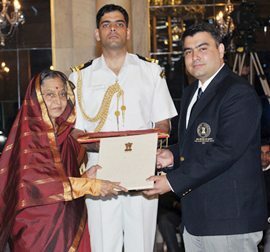 Answer:- India‘s ace shooter Gagan Narang has been conferred with Rajiv Gandhi Khel Ratna award by President Pratibha Patil at the Rashtrapati Bhawan on Monday (29-08-2011). Padma Vibhushan is India's second highest civilian honour. It consists of a medal and a citation and is awarded by the President of India. It was established on 2 January 1954. It ranks behind the Bharat Ratna, is awarded to recognize exceptional and distinguished service to the nation in any field, including government service. 1.Ebrahim Alkazi (Art) :He is a famous Indian theatre director, who was the founding head of the India's premier theatre training institute, National School of Drama, New Delhi. 2.Umayalpuram K. Sivaraman (Art): He is a famous mridangam player won Padmashri in 1988 and the Sangeet Natak Akademi award in the field of mridangam drumming in 1992. 3.Zohra Segal (Art): Sheis a stage and film actress, who started her career as dancer with legendary dancer Uday Shankar in 1935, and worked with him for the next eight years. She was awarded the Padma Shri in 1998, Kalidas Samman in 2001, and in 2004, the Sangeet Natak Akademi awarded her the Sangeet Natak Akademi Fellowship for lifetime achievement. 4.Yaga Venugopal Reddy (Public Affairs) : He is an IAS officer of the 1964 batch who served as Governor of the Reserve Bank of India (RBI) from 6 September 2003 until 5 September 2008. 5.Dr. Venkatraman Ramakrishnan (Science and Engineering): He is a structural biologist at the MRC Laboratory of Molecular Biology in Cambridge, England. He received the 2009 Nobel Prize in Chemistry "for studies of the structure and function of the ribosome". 6.Prathap Chandra Reddy (Trade and Industry) : He is a doctor and businessman who founded the first corporate chain of hospitals in India, the Apollo Hospitals Group in 1983.